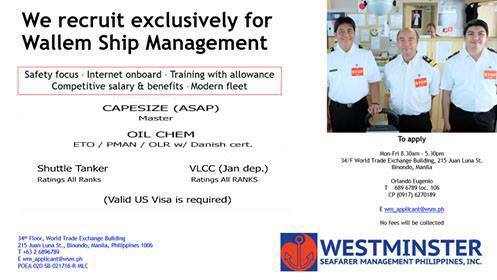 SEAMAN JOB INFO - Westminster Seafarer Management Philippines, INC. Updated jobs hiring for Filipino seaman crew work at cape size and oil tanker ship deployment January 2019. Share to help other seaman looking jobs at sea. No exp needed. Minimum N level. Up to 95% funding & job placement available. 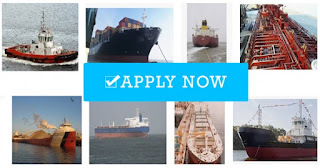 0 Response to "Master, Oiler, ETO, Pumpman For Capesize & Tanker Ship"